This post is part of the free calendar wallpaper series. Each month I create a new wallpaper featuring the current calendar. Looking at the same image over and over again is not very stimulating. Hence having a new desktop background each month should help getting your creative juices flowing. 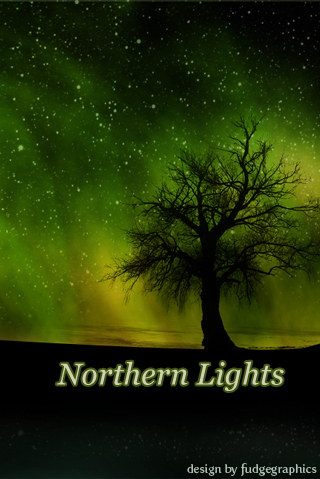 December 2009 Calendar Wallpaper is entitled “Northern Lights” and has been created entirely in Photoshop. I hope this will get you in the mood for Christmas. There has been a minor change when it comes to downloading the wallpaper. The iPhone version is now available to download by simply saving the preview image. This will allow you to save it straight to your iPhone without the need of unzipping the archive. Thanks for the December wallpaper. I was ready for a change and this one is terrific! .-= Angie Bowen´s last blog post: A Month Full of Found Freebies: A November Round-up =-. This is really beautiful. Love the colors! .-= Smashing Buzz´s last blog post: 45 Exceptional Widescreen Christmas Wallpapers =-. Thanks everyone. I’ thrilled that you like the design. I wasn’t sure as it’s a bit different from my other wallpapers. Many thanks for sharing your work and keeping the best for last. This is my favourite of all the wallpapers I’ve downloaded on fudgegraphics so far. .-= Georges´s last blog post: I am on E =-. I look forward to these each month. Thank you for these gifts. Great design, really like it. The tree looks really realistic too. @Georges: thank you! I’m really glad you like it. @mystro2b: you’re very welcome. I hope you’ll like the 2010 calendars also. It’s a lovely picture, but I hate that it doesn’t fill the screen and instead has this massive dull green border. @Melody: Thanks for the feedback. The reasoning behind this was that I wanted to make it easier for people with loads of icons on their desktop to read the titles. Next month will be a full screen design again. .-= Andrew Kelsall´s last blog post: Total Logo Design Process for Edit Websites =-. hi! I luv the blog and your work. the calendars look great, imma start making monthly calendars for my blog too. keep it up! .-= devilem´s last blog post: inspiration logotypes | 1 =-. Even your mum likes it and doesn’t have to clean up the desktop. .-= Benjamin Rama´s last blog post: 9 Free Must Have Christmas Brushes =-.